Our always popular patchwork pattern is a mix of our in-stock patterned and solid handmade cement tiles. This random installation can take on many variations as no two floors or walls will ever look the same. There is always a different tile or beautiful design to catch the eye. Lately some of our clients have been taking matters into their own hands and picking exactly the patterns and colors they want in their patchwork to create their own beautiful spaces. 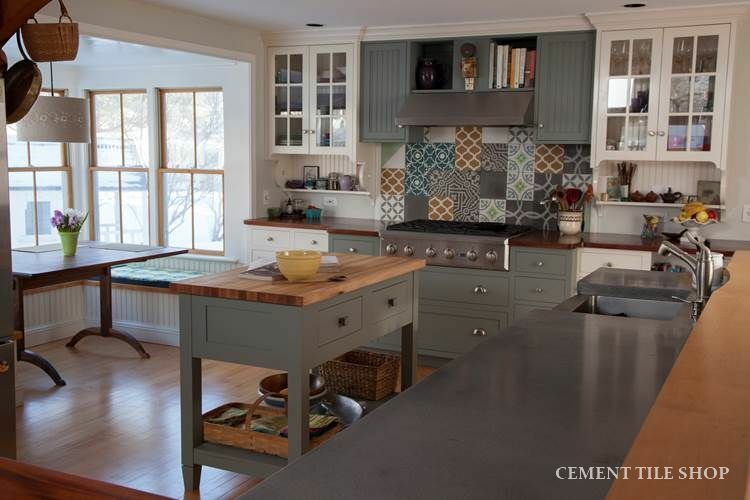 Instead of ordering pre-shuffled boxes of random tiles, they are ordering full boxes of their favorite patterns and colors and shuffling on site. Here are some great examples we have recently received from our clients. The patchwork look works well in both modern and traditional spaces, and can be used on both walls and floors. 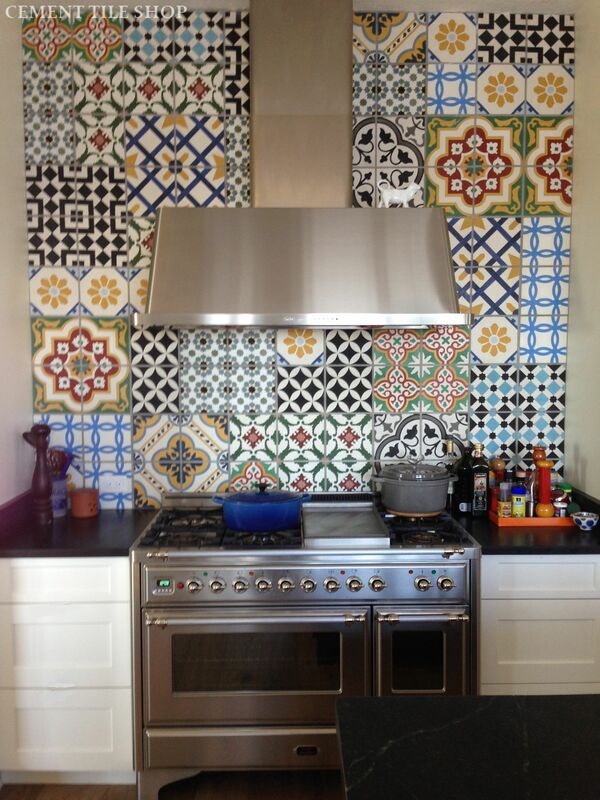 Let us know if we can assist you in creating your own patchwork cement tile masterpiece! 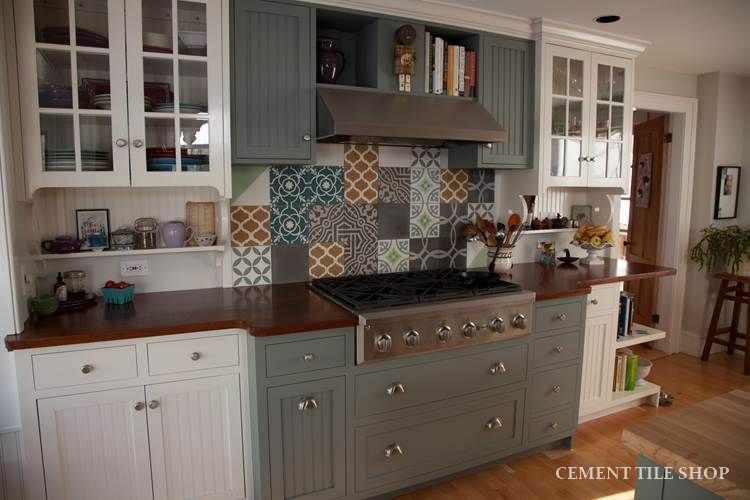 Contact Cement Tile Shop at (800) 704-2701.